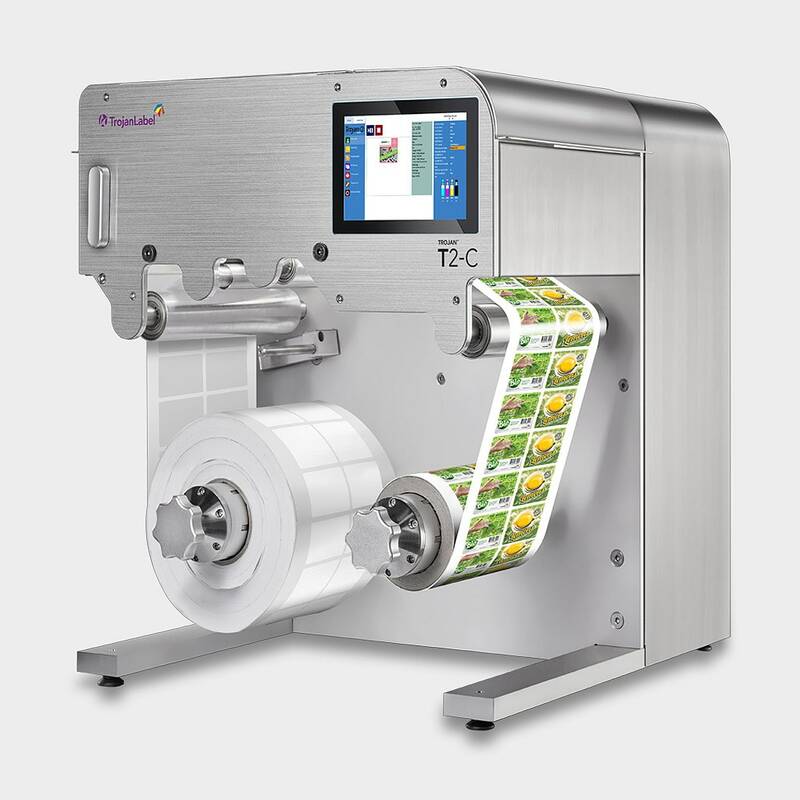 TROJAN T2-C Desktop Digital Label Press – Color Label Solutions, Inc.
With a 4-foot square footprint, the T2-C easily fits into any size print department. 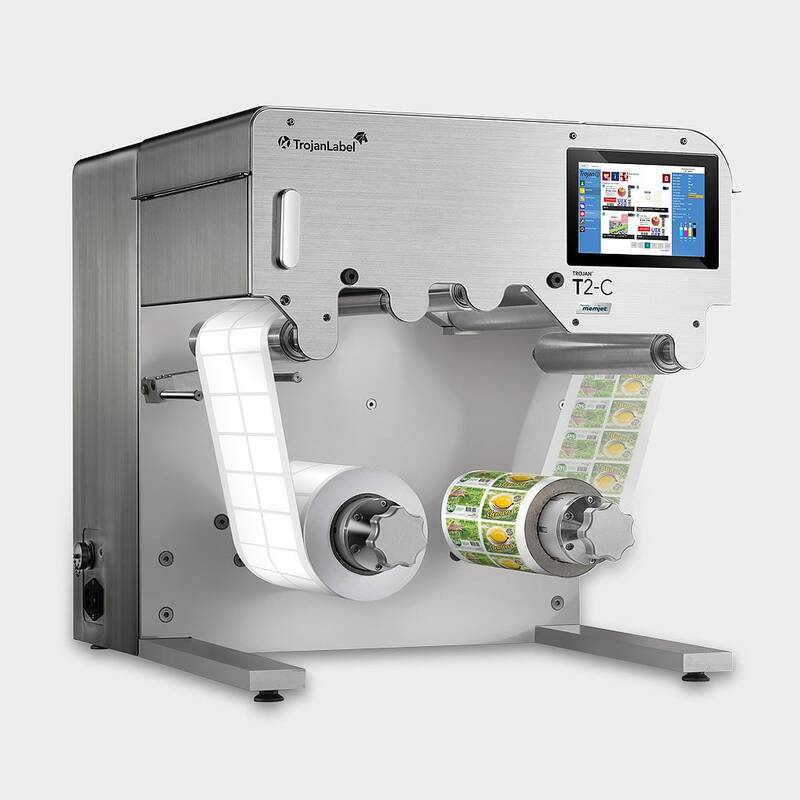 The T2-C provides labels suitable for commercial use and prime labeling, printing at a superior print resolution of up to 1600 dpi. With a print width of 2″ to 8.8″, labels can be printed in multiples or as one large label in a print run. Its impressive print speed of up to 12 inches per second, or 60 feet per minute, allows users to generate extremely large runs in a short period of time. First Tabletop High Volume Press Designed with Full Capacity of a Larger Press Fast print speed up to 12 inches per second (60 ft per minute).